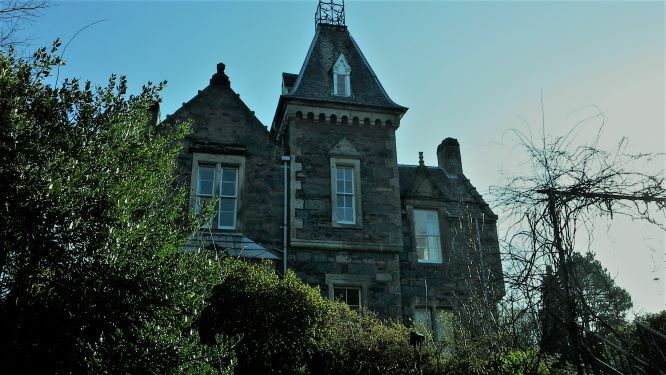 Ladyhill House is situated in the pretty Perthshire village of Birnam, and is part of a traditional baronial mansion house which has been recently refurbished to the highest standard. Stripped wooden floors, traditional marble-surround open fires, together with original ornate cornicing and wooden shutters give this house an elegant ambience showing its historic past. The combination of bright, fresh décor and beautiful antique furniture makes this a delightful and comfortable holiday house. 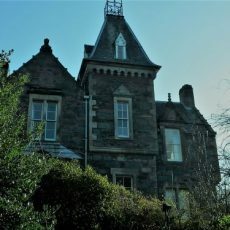 The two sitting rooms, both with open fires, enjoy views over the garden and are spacious sunny with large comfortable sofas and tasteful furniture, which are ideal for peaceful relaxation or socialising. The kitchen with dining table and Aga has been beautifully refitted to give all modern conveniences whilst retaining a traditional style. Upstairs the large master bedroom with its king sized bed and period furnishings has windows on three walls allowing light to flood in and the views over the wonderful garden and scenery to be enjoyed. There are three further comfortable, bright and fresh bedrooms, two twin rooms and an additional king, and a modern bathroom and separate shower room.